In 1999 Master Maureen Mertz founded the award-winning Little Tigers program. She was honored with the Isshin-Ryu Children’s Instructor of the Year in 2005 and the Isshin-Ryu Founders Award in 2006. 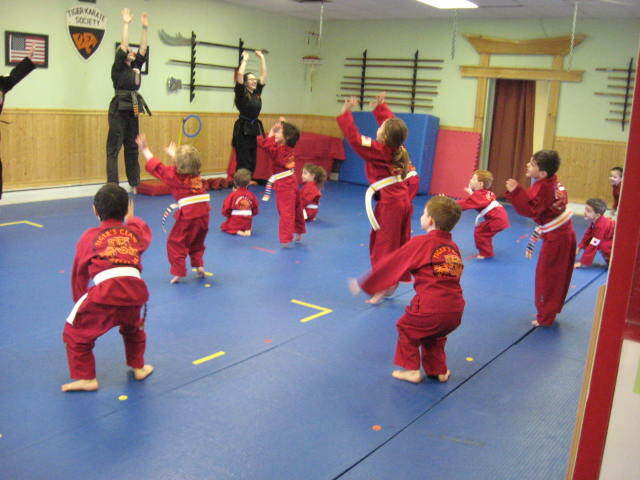 Our Little Tigers are introduced to the basics of our Isshin-Ryu Karate system while improving learning and motor skills. Classes are taught in a “Kid Friendly, Innovative and Creative Way.” Attendance is once OR twice a week for 45 minutes. Classes will be added as needed with enrollment.